Bitcoin's rollercoaster ride has taken another plunge, and India may be to blame. The price of bitcoin dropped below $8,000 on Friday before recovering slightly. It had slumped Thursday following a new broadside against cryptocurrencies from Indian Finance Minister Arun Jaitley. By Saturday morning, the price of the cryptocurrency had rebounded to $9,239, according to Coindesk. That's still a far cry from the near $20,000 price it reached in December. India will "take all measures to eliminate the use of these crypto assets in financing illegitimate activities or as part of the payment system," Jaitley said in his annual budget speech. While India's cryptocurrency market is still relatively small, analysts say it has the potential to grow rapidly as bigger markets such as China and South Korea enact their own crackdowns. The Indian government has been cautioning its citizens about digital currencies for months. In late December, the finance ministry compared them to "Ponzi schemes." India's central bank has issued multiple warnings that cryptocurrencies have no official backing and people who trade in them do so "at their own risk." Growing signs that the government and central bank could soon unveil regulations has made the industry jittery. Indian banks have reportedly suspended accounts of top bitcoin exchanges like Zebpay, Unocoin and Coinsecure. Unocoin said it had not faced any banking challenges, while Zebpay and Coinsecure did not respond to requests for comment. The banks either declined to comment or did not respond to requests for comment. But a person with knowledge of the matter confirmed that at least one of Coinsecure's accounts had been suspended, telling CNNMoney that it was done as part of a "due diligence process." 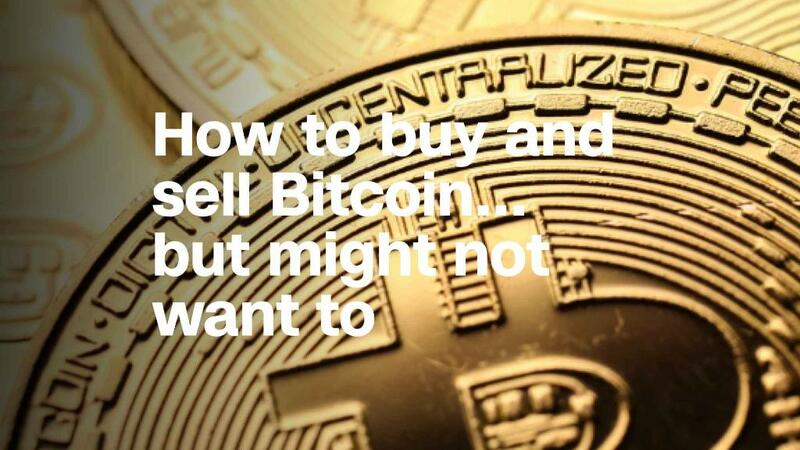 "These negative events play deeply into the fear factor of traders," Raj Chowdhury, CEO of cryptocurrency firm HashCash Consultants, told CNNMoney. HashCash provides remittance services and payment systems to banks and companies across dozens of countries, and also operates its own cryptocurrency exchange in India. Chowdhury says India's moves to regulate cryptocurrencies are not surprising, given last year's epic surge of interest that boosted bitcoin to nearly $20,000 in December. The price has more than halved since then. "Last year was a wild ride," he said. "This year it's gotten big enough for governments to pay attention." India accounts for between 2% and 3% of global cryptocurrency trade, said Sathvik Vishwanath, CEO of Unocoin. "India is comparatively a smaller market [when] compared to countries like Japan and the U.S.," Vishwanath told CNNMoney, but he added that "interest is picking up and there is tremendous scope going forward." But traders are now worried that the government could nip India's crypto boom in the bud. Vishwanath said Unocoin users have been calling to get clarity on whether their money is in danger. Harshvardhan Singh, who works at a startup near New Delhi, began trading in ethereum -- another virtual currency increasingly popular in India -- in May last year. He said he was "a little worried in the short run" after the government's recent statements and the resulting "bloodbath." But like many others, Singh feels virtual currencies have become too big to fail. "Blockchain and cryptocurrencies built on top of [it] are now part of this massive ecosystem which countries can't just afford to outlaw," he said. "We are not worried," said Vishwanath, adding that he doubts the government will "take a knee-jerk reaction without proper analysis." The government, on its part, has set up a committee to study cryptocurrencies. Jaitley said Thursday that it will await its report before taking any action. He also said India would look into using the underlying blockchain technology in its own digital payment systems. HashCash CEO Chowdhury said many in the industry may even welcome regulation. "Last year it was the year of ignoring it, this year is the year of debating it," he added. "Next year will hopefully be the year of accepting it."